Hometown/Current Home: My hometown is Salt Lake City, Utah where I was born and spent the majority of my life exploring. A few months ago I had the opportunity to move to Cambridge, Massachusetts which is where I currently live. It has been a big change moving to the East Coast and I have loved the new experiences and living near the ocean. 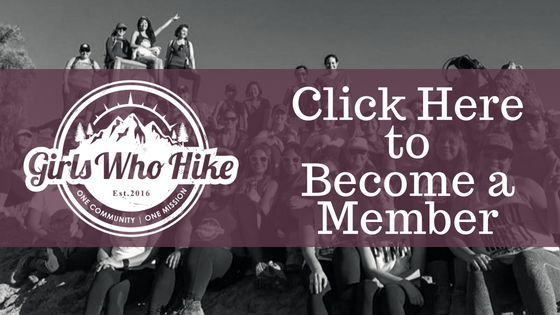 How long have you been a part of Girls Who Hike? : I joined the Utah chapter of Girls Who Hike in the summer of 2017 and became an ambassador for Massachusetts in March of 2018. I love that there are chapters in each state and it made moving easier for me because I got local advice on great outdoor places. What made you want to become a Girls Who Hike Ambassador? 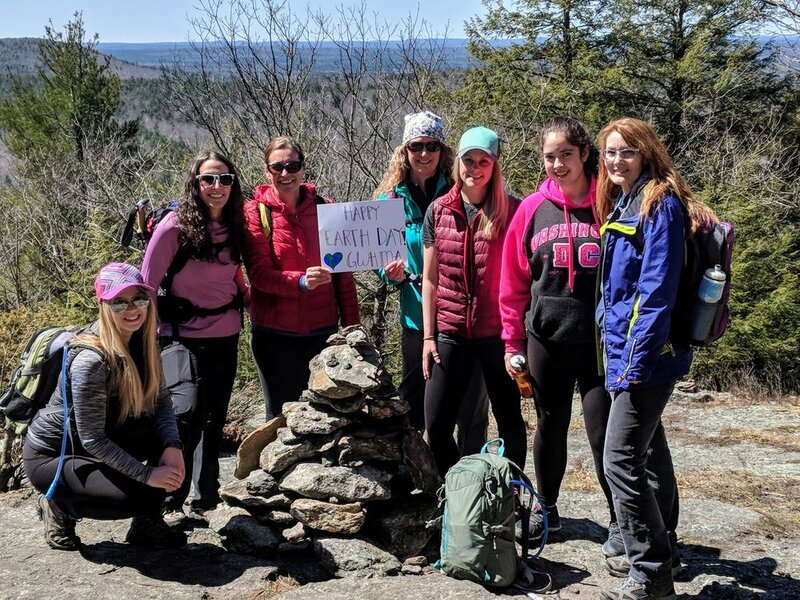 : I loved my experience participating in hikes through Girls Who Hike because it allowed me to meet awesome people while getting outdoors and checking hikes off of my bucket list. I believe that women have unique challenges with outdoor activities such as peeing, periods, and pregnancy, and I wanted to be a part of an organization that helps overcome barriers by providing a female empowering support group. How did you get into hiking? : I feel pretty spoiled about growing up in Utah because hiking was simply a part of my culture as I was always being invited on hikes by friends and family. My youngest memories of hiking is through National Parks with my dad and one of my favorite hiking accomplishments is hiking the mountain my high school was named after with my best friends at age 16. What's your favorite thing about spending time in the outdoors? : I love nature photography so every outdoor experience is a way for me to explore new places, express my creativity, and capture beautiful moments. What other outdoors activities do you enjoy besides hiking? : My favorite activities are rock climbing, kayaking or paddle boarding, and riding horses. I’m always up for trying any outdoor activity! List three things you can't go hiking without: My camera, water, and my mint flavored protein bars. What do you love the most about being a Girls Who Hike Ambassador? : I love socializing and I love being outdoors so making friends while hiking makes me extremely happy! What has been your favorite hiking experience? : A few years ago I was lucky enough to score permits to The Wave on the Utah-Arizona border. It was my first hike on an unmarked trail which provided a fun challenge and the view at the end was breathtaking! What advice would you give ladies who are new to hiking? : You don’t need fancy equipment to start hiking and whatever level you are at is a great starting point! The two key points I would tell people are 1) be safe (have a map that you can read, plenty of water and hike with friends) and 2) listen to your body (take breaks as needed or turn around). If you remember those two key points to starting hiking, you are more likely to have a successful hike allowing you to discover the fun and beauty hiking brings to your life. What is one random fact about yourself? : I love penguins! Kelsey is the ambassador for our Massachusetts chapter. You can follow her adventures on Instagram @kelseykushlan. You can join her local meetups and discussions through the Massachusetts chapter by clicking here.